William Hiddleston approached the Society for support for a trip to China with the Scottish Young Farmers – this was granted by Council on the condition that we had a report back, so here it is…..
My name is Billy Hiddleston, I am 24 and live and work on the family farm which is a mixed enterprise of beef, dairy and sheep but my passion lies with my small Irongray Park flock of Beltex sheep. When not on farm you will find me with the local Young Farmers Clubs as I am 2017/18 chairman for Dumfries & Galloway. 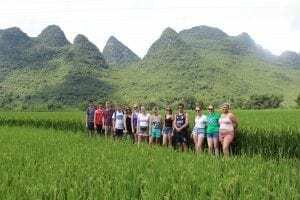 In the summer of 2017 I was lucky enough to join a group of 13 SAYFC members to travel through the futuristic cities and breath-taking countryside of China! The adventure started when we arrived in Beijing, the first thing to hit us was the heat and humidity. Beijing couldn’t have been further from the life I’m used to, coming from a town with a population of around 30,000 to a capital city with 23,000,000 residents! This was a little daunting, more concerning was the constant smog covering the city, caused by pollution this smog restricted views and gave a “choked up” feeling. 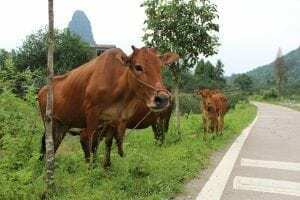 Whether it was the unusual smells, the on-going racket of vehicle horns or just the sheer volume of people, I can honestly say Beijing isn’t my cup of tea. From Beijing we travelled to the old capital of China, Xi’an. Arriving after 11 hours on a sleeper train our tour guide Dean said we would like Xi’an and it would feel more like home as the population was only 10,000,000 people… Xi’an felt much similar to Beijing with the exception that there were many more traditionally built buildings and the authenticity of the city was protected by tight planning restrictions. We explored the streets of Xi’an and the street food was brilliant, just about any animal part you could want on a stick was there. The food in China was great, nothing like tub of grease you get back home, it was fresh, tasty and felt healthy being mainly vegetable based with only small parts of meat. 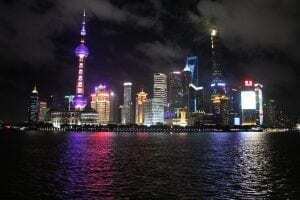 After another restless night on a sleeper train we arrived in my favourite city of the trip, Shanghai. Although this was the largest city we travelled to with a population of 25,000,000+ and set to grow around 10% over the next year it couldn’t have felt more different from Beijing. The air was clean, roads weren’t as congested and the western influence was obvious. Shanghai was originally a fishing village until the British saw the potential and turned it into a Port open for trade around the world thus turning it into the financial capital of China we see today. By far the most impressive sight and the one that will stay with me forever is the view of the financial district of Shanghai at night. From Shanghai we travelled to Yangshuo where we would learn about the rural communities and agriculture of Southern China. We rented bikes for the day to travel to a small agricultural village. These villages are hundreds of years old and many people in them still sleep on straw beds on the floor, there were ducks and chickens roaming everywhere and working cattle were housed in small rooms next to the houses. From the village the farmers would travel out to their designated plot of around seven or eight acres. In these plots on the low lying riverside fields where rice is the main crop, there were concrete ditches that carried water from the river to the paddy field to flood them when necessary (this was done to regulate the temperature of the rice and to protect from weeds) the farms were very manual labour orientated with water buffalo and cattle being used to work the land and farmers were managing two rice crops a year harvesting in May and September, yielding around three ton/acre. You may have thought about growing rice in the UK due to the amount of rain we get but I’m afraid to say we simply don’t have the heat for this diversification! 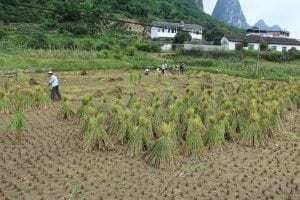 As well as rice the villages grew many vegetables and fruits near their homes. 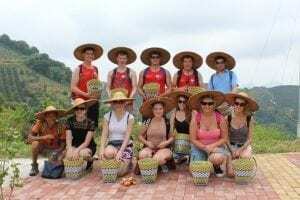 The group visited a local tea plantation and got a masterclass on how to grow and process tea, then a lecture on how the British spoil it and drink it wrong. 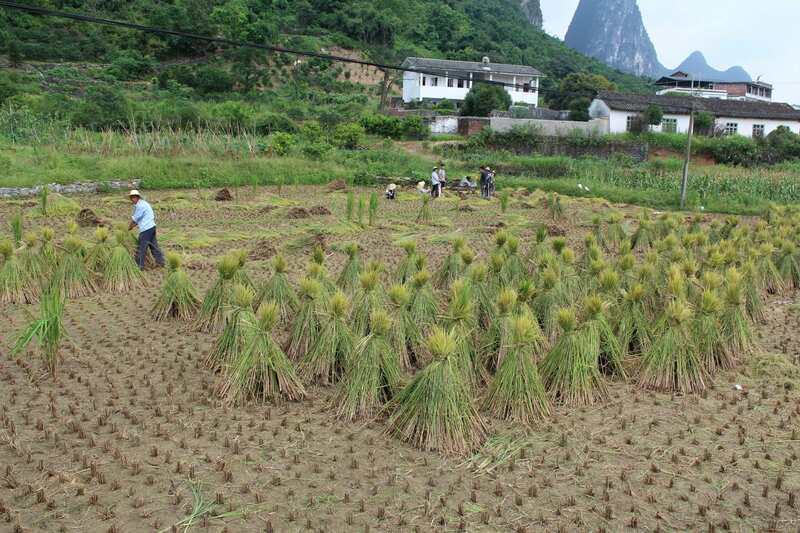 Tea was being grown on several hills along the river Li where the soil was of sandy/ acidic type. All tea plantations were organic and never sprayed with chemicals. Tea farms sit at ideally 1,000m above sea level and all variations of tea around the world come from one variety of tea tree, then are only changed to white/green/black teas depending on how they are processed after harvesting. 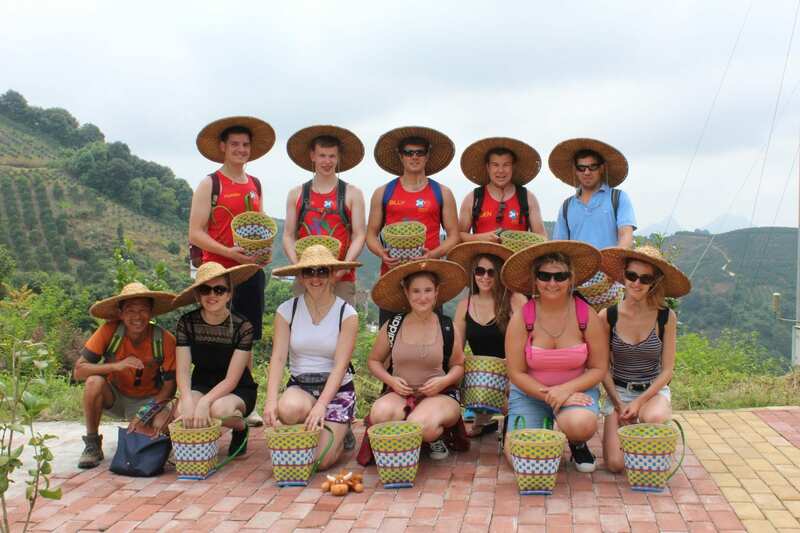 While in Yangshuo the group got a unique, eye opening experience of visiting the local food market. The first room was full with fresh, local fruit, veg and home-grown items but the second room was very different. The second room was where the meat was kept, animals were stacked up in cages, slaughtered and cut up in front of your eyes, welfare standards were truly questionable and the hygiene even more so! From Yangshuo we travelled to our final destination, Hong Kong. Unfortunately, when travelling to Hong Kong we were heading into a typhoon, there was nothing but wind and rain. We didn’t get one good view of the place due to the weather but like Shanghai, Hong Kong was very westernised and many people spoke English, many household names we recognise back home were plastered all over the streets and the cars drove on the right (left) hand side of the road. Hong Kong is definitely somewhere I wish to return to get the full experience of it. I learned much in my time in China but I would never be able to write it all. Many things like the English-speaking children, some of the animals we witnessed on the menus and the fact we were treated like celebrities because we were white and 6ft tall, are all things I wish I could tell you more about. 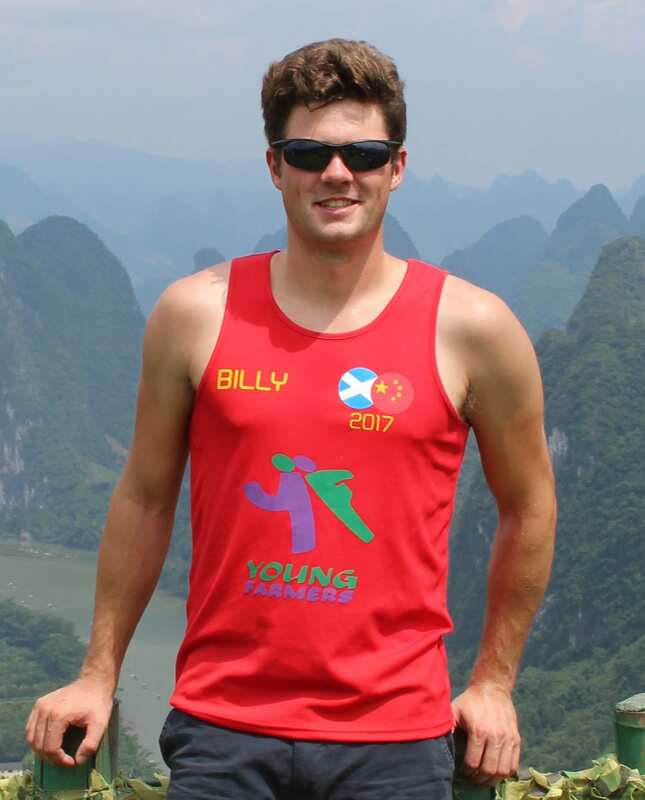 Overall my time in China was absolutely incredible and I would like to thank everybody who helped make it possible. I would like to take the chance to encourage anyone to join the Young Farmers and take full advantage of all these wonderful opportunities they put on for their members. The memories, sights and friends on this trip will last a life time and I look forward to my next adventure!